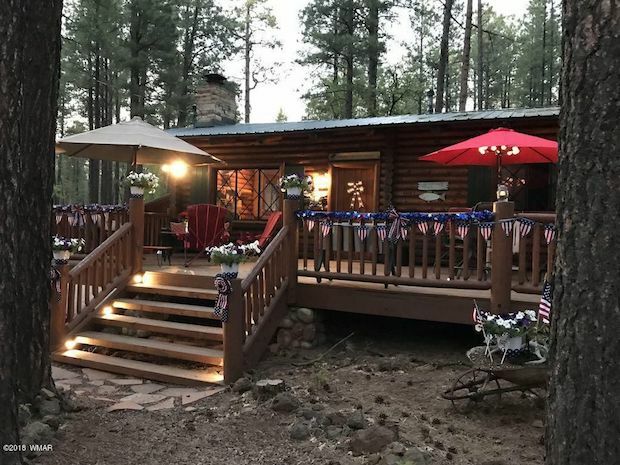 This lovely home located in Pinetop, Arizona has all the features of a classic log cabin, from the solid wood materials to the stone fireplace, this home will provide its new owners with a warm and cozy welcome while giving them all the comforts of a modern home. 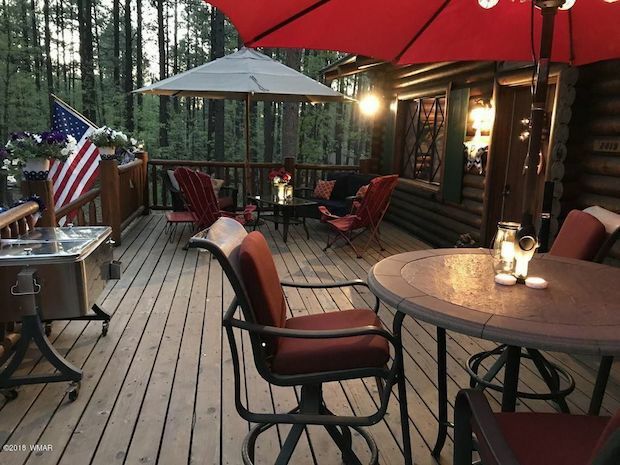 The interior features a variety of rustic style furniture with warm colors and lighting that brings out the classic log cabin atmosphere. 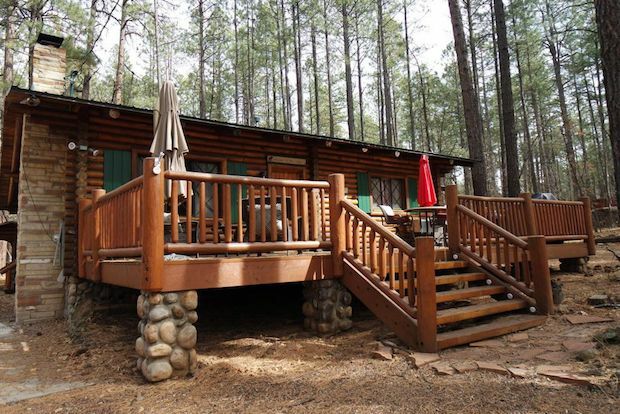 The cabin is sized at around 1,400 square feet and is for sale at about $399,700. 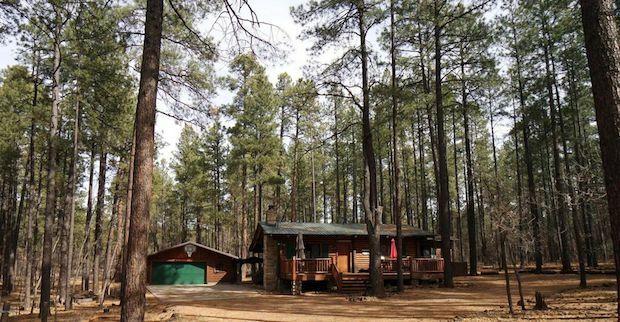 Lot is 0.5 acres. 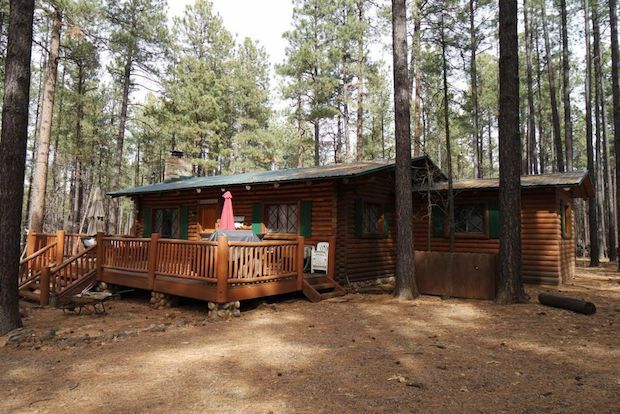 The kitchen is well updated, with modern appliances and granite countertops, as well as a solid log bar top! With 3 total bedrooms, there’s plenty of space for everyone! 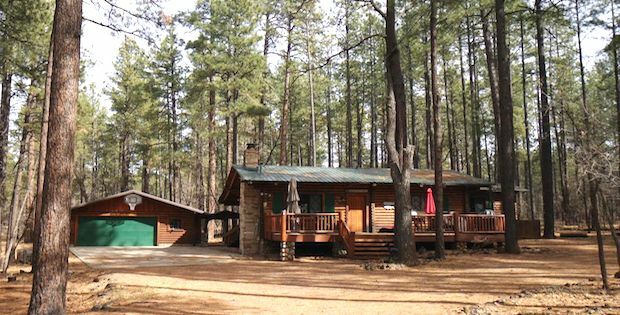 If you are looking for a comfy residential cabin in a great area, this is the one for you!